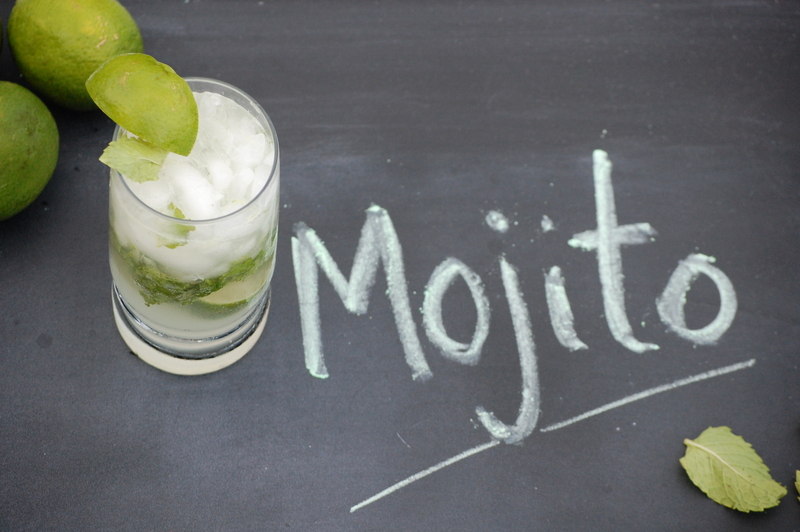 If there is one cocktail that screams summer, it is a mojito. 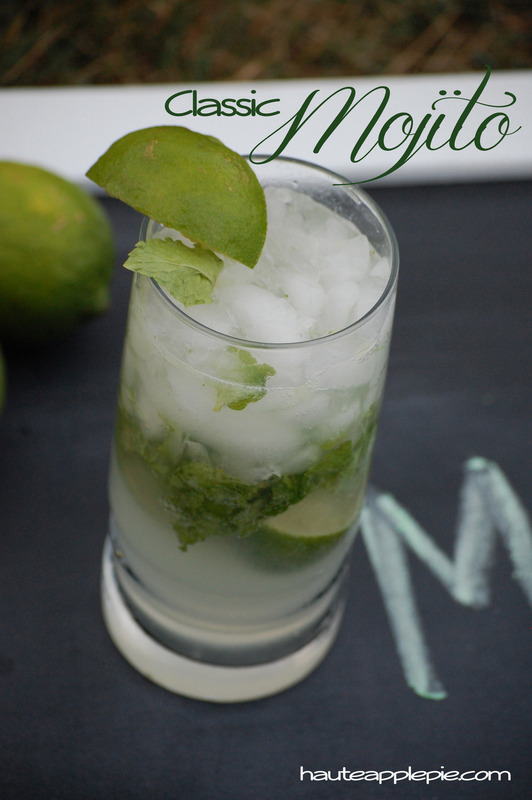 A favorite in our household, these refreshing lime and mint summer drinks are the perfect cocktail for a warm night or the compliment to a summer BBQ. If you grow mint in your garden, you are likely wondering what the heck to do with all of it. Mint will take over. So before you pull it all out like a weed, (because let’s face it, we can only eat so many mint and watermelon salads) make yourself one of these cocktails. I like to mix up a simple syrup to keep on hand in the refrigerator. One cup of sugar, one cup of water and bowl it down until it turns syrupy. Cool and keep refrigerated. It’s a great addition to any homemade cocktail or juice. I’m enjoying this drink as I type, so I apologize in advance for any typos. In a tall glass, squeeze limes and toss into bottom of the glass. Add mint. Using a muddler or wooden spoon, muddle mint and lime together to extract mint flavor and lime juice. Add rum, simple syrup, and club soda. Mix together. Add enough crushed ice to fill the glass. Garnish with a lime wedge. Enjoy some more summer cocktails with these folks around the web on Food Networks Summer Soiree! Mmmm, my favorite summer cocktail!